I've followed this author through her first trilogy, Guardians (highly recommended read!) and now the Mechanical Dragons. With this book she has hit her stride. I honestly could not put it down as the story rolled out before me. 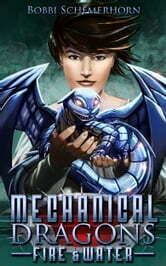 It's a splendid tale intertwining teen angst, mechanical dragons and high adventure. Even though I'm well passed my teens, I could still relate to the feelings of the young heroine, Khaly, and rooted for her success throughout. I'm hoping Ms. Schemerhorn continues this series and we can watch as the dragons, Khaly and the author herself grow through new adventures. I loved this book. Ms Schemerhorn starts this story with a girl who doesn't seem to fit in. It's a typical week in the life of a teenage girl who is brilliant but cannot seem to find her place. 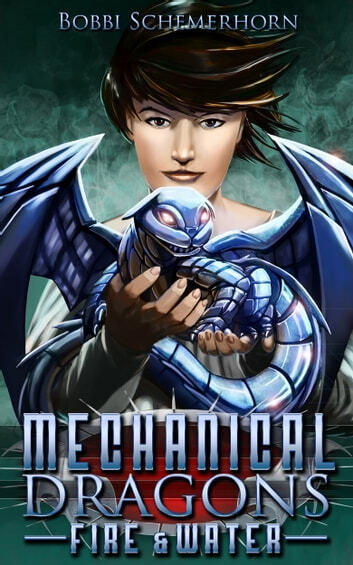 As the title indicates there are mechanical dragons and I was fascinated by the personalities she conveys during their adventures. The story takes a quick dark turn. She had me gripping the edge of my seat as Khaly and her new found family fight to survive. I thoroughly enjoyed this story and look forward to the next installment. I absolutely devoured this book! Bobbi tells a fantastic and entertaining story that kept me turning the pages looking forward to how the story would unfold. I so thoroughly enjoyed her introductions of the dragons, I felt as though I was not only reading about them but watching their antics unfold right before my eyes! Loved it! Awesome read! I would highly recommend. After finishing reading Ms. Schemerhorn's Guardians trilogy, I was really looking forward to this new series. The Guardian Trilogy was already amazing to read, but she managed to step it up even more. I read this book in no time wanting more. I really enjoyed the way she create characters. I just bought the second book of the series and can't wait to read it. Well done Bobbi!